We are manufacturer and Exporter of Neutraceuticals Tablets in all Countries. We Exports Neutraceuticals Tablets in Algeria, Angola, Benin,Botswana,Burkina Faso,Burundi,Cameroon,Central African Republic,Gambia, Ghana, Guinea, Kenya, Liberia, Libya,Malawi,Morocco, Namibia,Nigeria, Niger, Reunion, Rwanda, Somalia, South Africa,South Sudan, Sudan,Swaziland, Tanzania, Togo,Uganda, Zambia, Zimbabwe, Yemen,Vanuatu, Venezuela, Vietnam, Uganda, Ukraine, United Arab Emirates, United Kingdom, United States, Uruguay, Uzbekistan, Tajikistan, Tanzania, Thailand, Turkey, Sudan, Suriname, Swaziland, Sweden, Switzerland, Syria, Sri Lanka, Spain, Somalia, Slovakia, Singapore, Serbia, Saudi Arabia, Romania, Rwanda, Russia, Qatar, Paraguay, Peru, Philippines, Poland, Portugal, Pakistan, Palau, Panama, Oman, Namibia, Nepal, Netherlands, New Zealand, Norway, Nigeria, Montenegro, Morocco, Monaco, Mongolia, Mexico, Maldives, Malaysia, Malawi, Macedonia, Macau, Liberia, Libya, Afghanistan, Algeria, Angola, Argentina, Australia, Austria, Bahamas, Bahrain, Bangladesh, Belgium, Benin, Bermuda, Bhutan, Bolivia, Botswana, Brazil, Bulgaria, Burundi. 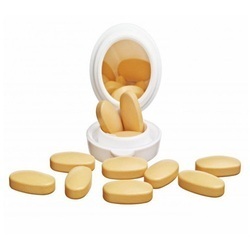 We are the leading supplier of Folic Acid, Zinc, DHA Lycopene Tablets made available to our clients at competitive prices. Glutathione Tablet is the most powerful, prevalent antioxidant in your body. We are the leading supplier of Ferrous Ascorbate, Folic Acid and Zinc Tablets made available to our clients at competitive prices. 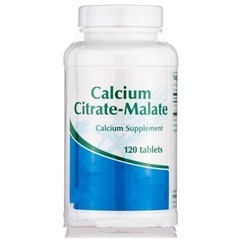 We are the leading supplier of L Methylfolate Calcium Pyridoxal Tablets made available to our clients at competitive prices. 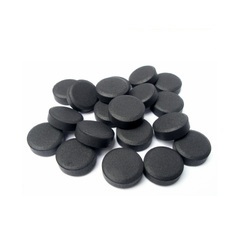 We are the leading supplier of Activated Charcoal Tablets made available to our clients at competitive prices. 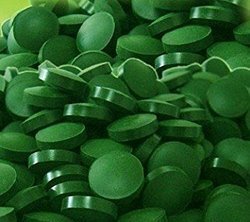 We are the leading supplier of Spirulina Tablets made available to our clients at competitive prices. We are the leading supplier of Ginkgo Biloba, Vitamin E Tablets made available to our clients at competitive prices. A multivitamin is a preparation intended to serve as a dietary supplement - with vitamins, dietary minerals, and other nutritional elements. Such preparations are available in the form of tablets, capsules, pastilles, powders, liquids, or injectable formulations. 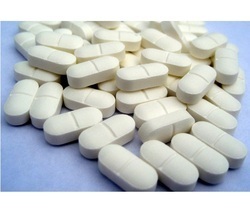 We are the leading supplier of Methylcobalamine, Inositol tablets made available to our clients at competitive prices.